The American government has suspended its funding of the University of East Anglia’s climate research unit (CRU), citing the scientific doubts raised by last November’s leak of hundreds of whistleblown emails. It has supported the CRU financially since 1990.. This report.. ..criticised them for “a consistent pattern of failing to display the proper degree of openness”. Tick tock. Nobody could see it coming? So their funding is being withdrawn not because of any scientific questions, but because they're no good at PR. They need to get Steve Jobs signed up fast. He did an exceptional job of turning 'Apple are going to have to recall 3 million iPhones' into 'The whole thing is a joke - there's nothing wrong with the phone'. Because they are no good at science. Job done, providing all the duff research culminating in compenhagen. from now on the offensive takes another tack to bring in carbon taes, carbon trading scams and enforced deindustrialization / impoverishment. All the heavy investors are in on it. Their lackeys are doing their job too - Snowflux should be about shortly. Ironic, as you have almost the exact behaviour of either an astroturfer or a troll. Well, the research was not 'duff' (would you care to back that statement up? Thought not. ), Copenhagen resulted in precisely nothing due to the combination of stupidly unrealistic green politics and massive industrial lobbying, and uncontrolled globalisation seems to be doing a decent job of deindustrialisation without worrying about carbon trading..
Apart from that, a perfectly accurate and insightful comment. Speaking of which, when is Your Hero Mr Watts going to publish his paper demolishing the whole surface temperature record and hence removing the need for all this dishonorable grubbing through stolen emails? What stolen emails? The Climategate files were released by an honorable whistleblower who was shocked at the goings on at the heart of CRU - the corruption of the peer review process, hiding of inconvenient data, and illegal deletion of emails subject to FoI requests. You really do need to lean to distinguish 'Thinks that you want to be true' and 'Things that are true'. Anyway, were is this paper you were once going on about? It's getting on for a year now.. let's hope that Mr Watts isn't hiding any inconvenient results. Why would I want the scientific process to be corrupted? You can't wish it away. You claimed earlier that the emails were "stolen" - who stole them? No, you want the emails to demonstrate the corruption of the scientific process, despite this not being true. I can understand you wanting to change the subject but we have a few unanswered questions. How many of the Climategate emails have you read? I asked the question first. The fact that you want to do anything but answer it shows, predictably, how weak the denialist case is..
How many of the Climategate emails have you read?. None. Why should I? I'm not making claims about them or their contents. You and the other denialists are the ones screaming fraud, without being able to use the emails to make a case. I don't know. If I did know I'd report them to the police. Or do you have a new definition of theft whereby it's only theft if you know who the thief is? Who cares. Theres got to be 100s of different organisations worldwide doing exactly the same research as the CRU. Basically telling us at some point in the furture we're doomed, its going to get warmer and some places will be drier, some places wetter. Ive yet to see a single good real outcome of climate research other than filling the pockets of people who will never be alive to be judged on their predictions. Put money into funding things like tornado warnings and earthquake warnings if they want to save lives. Gordon was right, there will be lots of green jobs and knowledge economy jobs. Only problem is theyre mostly publicly funded and take away from other, more deserving areas like health and education. Carbon Dioxide makes up 0.03% of the atmosphere. Water vapour is the worst green house gas, I say we ban that first. The computer models used to develop the man made global warming theory didn't use water vapour in their climate models. What a joke! Its tobacco science of the First order! Enjoy your grants jokers! Some Russian and German institutions have pointed to the likelihood of further global coooling as a result of the very quiet sun, and at the moment they are winning the prediction battle. The only "green" jobs around are publicly funded or created in order to take advantage of subsidies (soon to be coming to an end). We'll be tearing down the windmills by the end of this decade. They prefer to ignore waper vapour as it's too complicated for them. They can't even get the sign of the effect of clouds correct. Clouds warm the surface when it's cold, and cool the surface when it's hot. 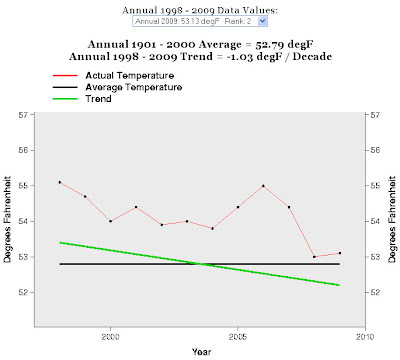 In climate models they treat them as if they do the opposite. A hot day never got any hotter due to clouds moving in. Oh, apparently monks didn't grow mediterranean grapes in northern England, they where on the pay of mobil to lie in their records. Are you seriously claiming that water vapour is ignored in current climate models? Yes or No? It's a nice day outside, isn't there a kiddies playground somewhere you could be loitering around?